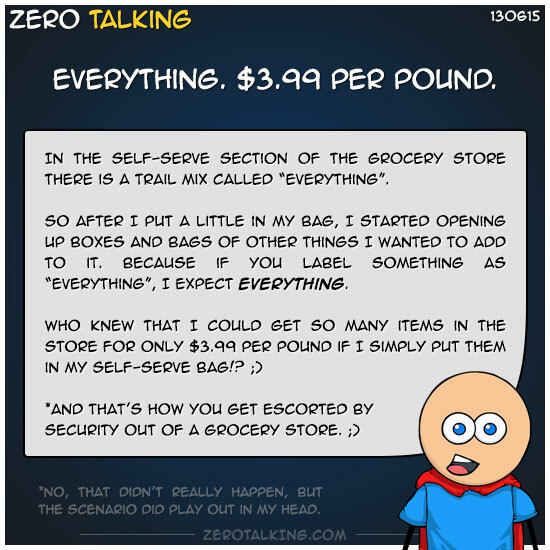 In the self-serve section of the grocery store there is a trail mix called “everything”. So after I put a little in my bag, I started opening up boxes and bags of other things I wanted to add to it. Because if you label something as “everything”, I expect everything. *No, that didn’t really happen, but the scenario did play out in my head.